1.6 How to Use Sticker Market? All the keyboards in the popular text-messaging apps offer a wide selection of emojis to choose from. Whenever you find the perfect emoji to express yourself, you feel that you couldn’t have asked for more. However, it is rare to find just the right emoji because only limited numbers are available in any messaging app. And then, you would also want to create your own custom emojis or find GIFs that express the situation or emotion better. Even the most popular messenger cannot address this requirement. And this is where the Sticker Market app comes into the picture. So what are the features that make Sticker Market a popular app that has found a place in so many Android and iOS devices? Emojis can be in any form. All that matters is that they convey your message in the best way. This app provides you access to thousands of stickers, both animated and normal ones. Whether you are looking for the simplest smiley icons or the most complex stickers from your favorite cartoon show or any kind of object, it has everything. Choose the one that best suits your needs. There are tons of both free and paid stickers, so everyone can use this app. Want to create a face emoji with your face in it? Want to use masks like glasses, hats, or other funny options. This is possible within Sticker Market. 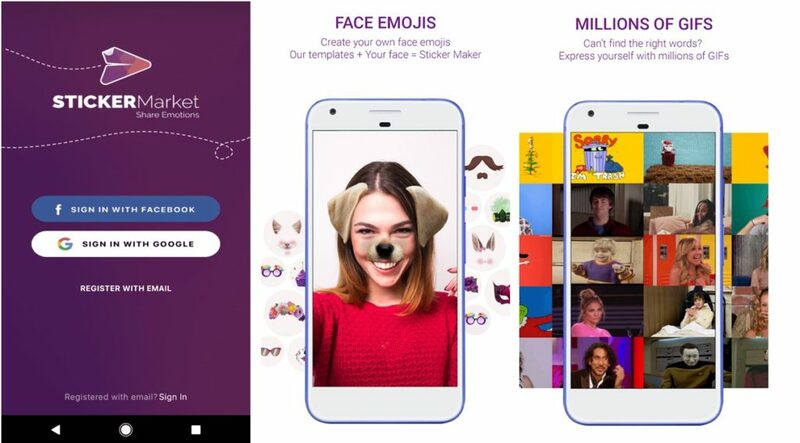 The ‘Sticker Cam’ feature provides you access to different mask filters and you can also create face emojis by cropping your face after capturing a photo with your phone’s cam. So once you have installed this app, you will get much more than an emoji keyboard. Every time you create a custom face emoji or sticker, you may want to use them again. This app provides you access to the cloud so that your custom or personalized emojis and stickers can be stored. There is 5GB of free storage, which is more than enough to save your stickers, face emojis, templates or GIFs. The cloud can be accessed from your iPhone or Android device or PC. It is worth noting that a Chrome extension of Sticker Market is also available. This allows it to be used on the Chrome browser on your PC. You will find the sticker templates within the Sticker Market tile. The search button allows searching for stickers, GIFs and templates and shows ‘trending searches’. 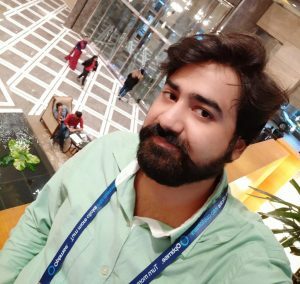 How to Use Sticker Market? Using the Sticker Market app is simple and quick. All that is needed is to install the app and create your account. Log-in and then install the app in your keyboard. Then select which tile you want to access and you can download the theme or genre. Every time you want to access an emoji, GIF or sticker, just tap on the app’s icon. Use it with any messaging app. This includes Facebook, WhatsApp, WeChat, Snapchat and other popular text-messaging apps. And the chrome extension further allows you to use the app in a Website. Sticker Market is available for free to use, but you can find many stickers and GIFs available for a tiny price. It offers so many animated and static emojis and GIFs that they can cover all your emotions. It is easy to install, set up and use. Everyone can use it on their Android or iOS phone or PC. It is free to install and use and only certain stickers are paid. You can also create your custom stickers and face emojis and store them in the cloud. And the best part is that the app keeps getting updated with new stickers and GIFs every now and then.